At the Hilltop Restaurant the food is as magnificent as the vistas. 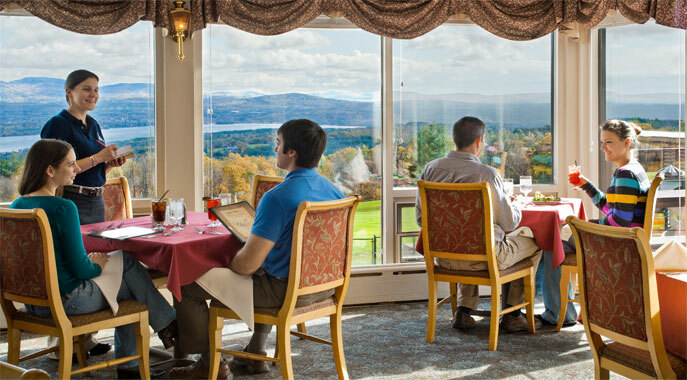 Savor a delicious meal in the comforting setting of an authentic New Hampshire inn. Located in the main inn building at Steele Hill Resorts, this authentic piece of history dates back to the golden age of New Hampshire tourism. 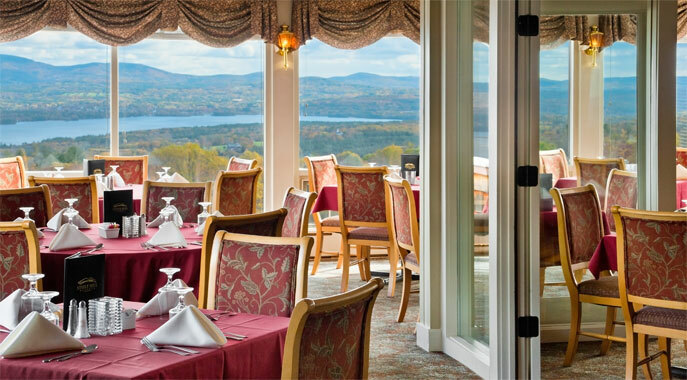 With unparalleled views of Lake Winnisquam, Lake Winnipesaukee and the Belknap Mountain Range, the Hilltop Restaurant offers a truly unique and romantic dining experience. Our dinner menu features regional favorites, fresh seafood, aged beef and a selection of chef’s specialties. During lunch enjoy homemade soups, classic burgers, sandwiches and lighter fare. A wine list and full bar service complement the food selections. For a more relaxed setting kick back in Tova’s Tavern adjacent to the main dining room. This picturesque tavern features a full bar, with complete restaurant service and a selection of flat screen televisions. 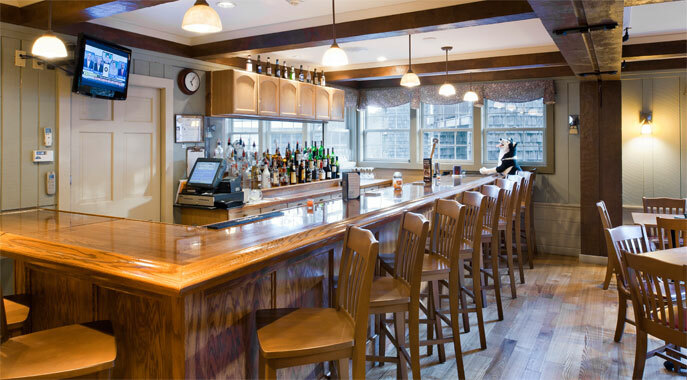 After a long day touring the Lakes Region or just enjoying the resort amenities Tova’s Tavern is the perfect setting to unwind. 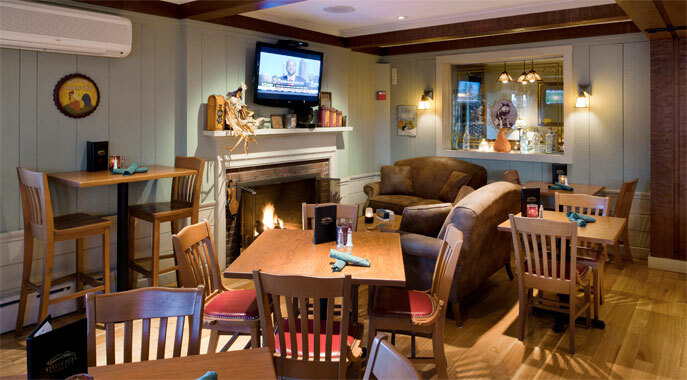 Relax by the tavern’s warming fireplace and wash away your daily stress. 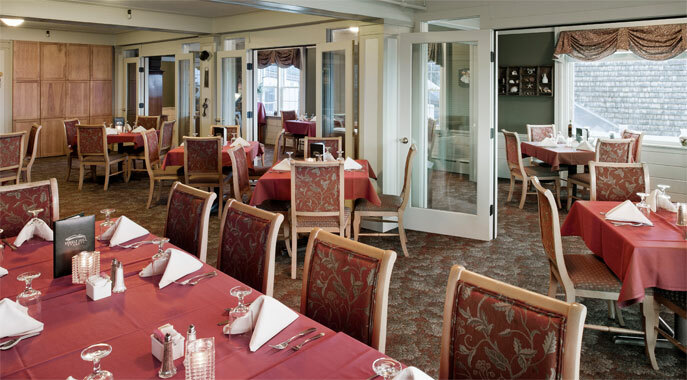 Steele Hill’s Restaurant facilities also offer a renowned Sunday Brunch. Enjoy an excellent, full-service brunch buffet with our famous omelet station. Nothing goes better with savory eggs than Steele Hill’s unparalleled vistas. For larger events Steele Hill Resorts can provide complete catering services and banquet facilities for up to 250 guests. Our restaurant staff specializes in banquets and catering for all occasions.